Making appointments is easy and enjoyable once you have a script that works, and now you can write your own professional script with this proven process. 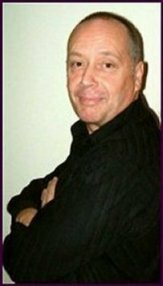 In just 3 easy steps you can write your own sales appointment script using techniques that I’ve trained thousands of people to use and achieve very successful result. Your own cold call appointment scripts will be successful because they will be in your own words and phrases. And they will be targeted at your customers and specific for your products and services. You will keep customers talking because you will sound natural, unlike some major call centres that use scripts written by other people. You can tell when telesales and appointment setters are using other people’s scripts, it sounds false and awkward. You won’t have that problem when making appointments from now on. If you try to make a sales appointment call without a plan of the stages of that call you end up with no direction and the conversation wanders off all over the place. So the first step to making appointments is to know what you want in your call, what are the stages that will make up that call. The call is broken down into stages so you can write each stage at a time. Here’s a nice simple structure that I use to wrap the words around. It shows the top line stages of a sales appointment call and I’ve given a description of each stage. When making appointments this is where you introduce yourself, your business, your product, and most importantly you tell the prospect why you are calling them. This is a unique technique that I’ve developed to motivate the prospect to move forward from the Introduction to the next stage of the call. 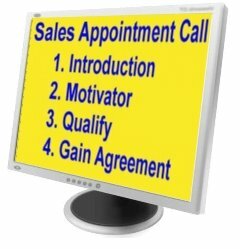 If you add this unique technique to your calls when making sales appointments you will greatly increase the number of prospects that listen to you and that means more appointments. This is where you ask the questions to see if the prospect qualifies as a potential customer and someone that you want to meet. The close, the stage where you gain the prospect’s agreement to a meeting with you. By starting with this structure of stages you will have direction at all times, and know what your objectives are at every point in the call. Let’s start with the Introduction Stage and the parts that should be included in this stage to make it work effectively and get the prospect listening to your story. By listing the parts of the stage first you will find that you’re call script is almost written for you. Here are the parts that I use as a starting point for creating the sales appointment Introduction Stage. Introduce your company and / or your product or service. Associate a wide ranging potential benefit to your company or product. Tell the prospect why you’re calling using a potential benefit that they could gain from listening to you. It’s short and quickly communicates all the information to the prospect. It uses benefits to keep the prospect’s attention, and the reason for calling gives you a nice lead-in to the next stage. The parts of the call above tell you what to do when making sales appointments as you progress through your script for the Introduction Stage. It’s now very easy to add your words to this framework. Just look at each part on its own and select the way you will word the action. The call script that you create from the stage parts will sound natural and flowing because they are your words. The above Introduction framework can be used for making sales appointments for any product or service, and for contacting any type of prospect. I’ve used this process to train sales people and appointment setters on making appointments for over 20 years. It has already been proven successful in a wide range of marketplaces around the world so you know it will work for you. If you haven’t had training on how to make appointments, or the way you make appointments is different to the sales training above, you might want some help to get to know the process. I’ve written an eBook to help you and you can download it for free. We don’t ask you for details. And you don’t even have to leave your email address. You just open the eBook and save it, read it, and pass it on to friends and colleagues. 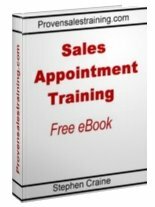 It will guide you through the above process using exercises and sales training techniques that have proven successful for so many other people making appointments just like you.